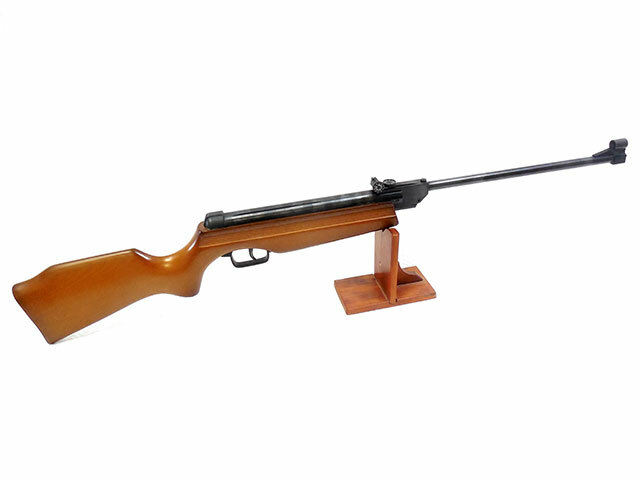 Daisy 120 Break Barrel Pellet Rifle 50% off ! 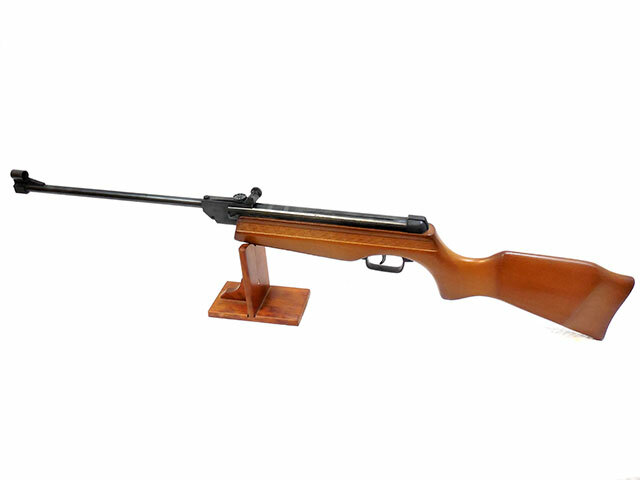 The daisy 120 is a .177 caliber break barrel pellet rifle. 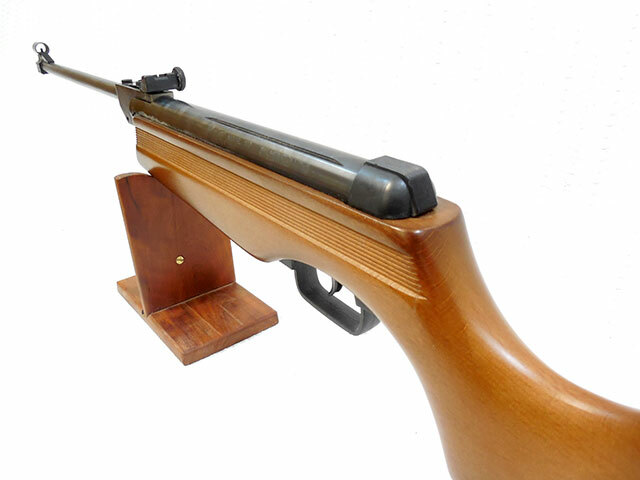 It has a single piece wood stock and forearm in excellent condition. 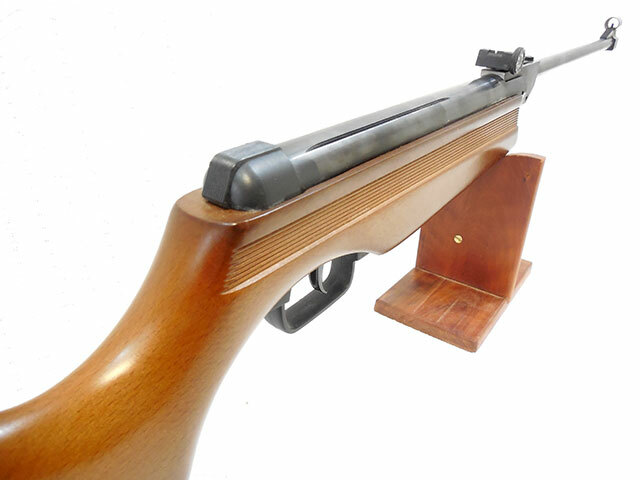 The metal on this gun is in excellent condition as well retaining better than 95% of the original finish. We tested the velocity in our shop at 513 fps using lead pellets. These guns were manufactured in Spain between 1984 and 1985. It has adjustable rear sights with hooded front sights.